Do 3 Birds renovation get credit for including your stunning products? - http://www.threebirdsrenovations.com/house5 I recognized this from one of their houses and think it would benefit both parties if they get some kind of credit. i may have missed it though, so happy to be corrected if you have credited them. 12. Finish with the floorAdd a cup of two of vinegar to a bucket of hot water, along with a few drops of eucalyptus oil, to mop the floor. Be sure any windows are open and turn on the exhaust fan for an hour or more to completely dry out the space. Replace clean and dry towels, bath mat and hand towels and walk away with the satisfaction of a job well done. 4. 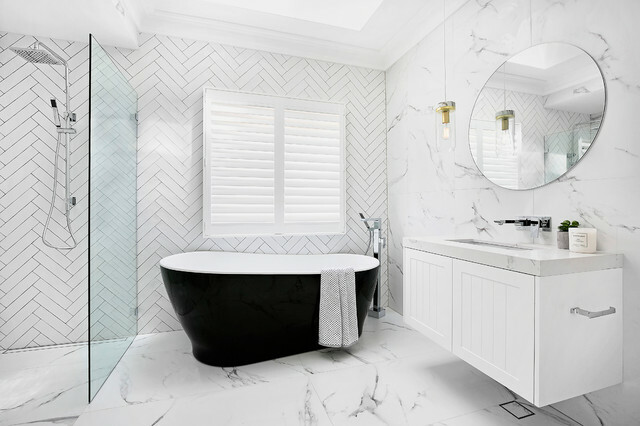 Invest in a bath or shower that suits the spaceWhen deciding whether you need a bath, shower or both, consider the needs of the space and the person who will be using it. For example, do you need that double-head shower or huge spa bath if you’re renovating a one-bedroom apartment? Probably not.